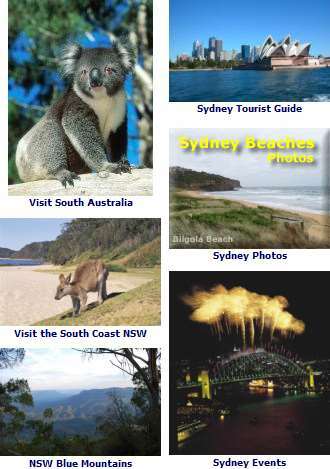 See Melbourne Australia attractions on the map: Melbourne City Map - Places to Visit. This fully restored home of Captain Cook, built in 1775, was shipped from the UK brick by brick. The double storey home lets you learn about his life, voyages and what life was like during the 18th century. Discover Warrrnambool and the Shipwreck Coast. A recreated village of an 1870s coastal port. Find out about the 180 ships have come to grief along the Shipwreck Coast. Travel through billabongs, rock pools, a transparent tunnel surrounded by sharks and giant stingrays, and finally right off the deep end into the 2.2 million litre Oceanarium. No visit to Melbourne would be complete without an award-winning trip on the Yarra with fantastic views and informative commentary in the comfort of a Melbourne River Cruiser. Choose from the Scenic River Gardens up river cruise, the Port and Docklands down river cruise, or for the complete city experience, why not consider the Melbourne Highlights up and down river cruise? All vessels are fully enclosed with on board amenities and snack bar. The Melbourne Museum and the Royal Exhibition Building, located in the Carlton Gardens. The museum has a lush Australian rainforest as one of its key exhibition areas, you can track the evolution of the dinosaurs through time, another exhibition area is dedicated to the traditional owners of the land, Aborigines. A total of nine exhibition areas for you to enjoy about our culture, history and science. The Royal Exhibition Building was built for the Great Exhibition of 1880. There are tours available. Located in the Carlton Gardens, you can take the City Circle Tram to the corner of Victoria Parade and La Trobe St.
One of the great zoos of the world, world leading centres of wildlife experience, conservation, education and research. Lots of animals as well as activities including Trail of the Elephants - a journey to Elephant village. View some of the greatest art the world and Australia has produced. Ancient art, the European Masters, Asian art, sculptures and other glorious examples of international art of the finest standard. You need a lot more than a single day to explore all of this art gallery. Tours, lectures and ever changing displays. They have a second venue, at Federation Square, you can explore their Australian art, as well as film and music. Located a short walk south across the Princes Bridge by Flinders Street Train Station. This prison served Melbourne since the 1840s, with its Police City Watch House, historic Magistrates’ Court and gallows it makes for an intriguing visit. Ned Kelly and other infamous characters were once housed here, subject to Australia’s Justice System. See rare and original documents, including maps and photographs from the archives of the state’s Public Record Office Victoria. Explore early Melbourne Australia, see documents relating to the Ned Kelly Gang and learn about the Victoria Democracy as envisioned by the Eureka revolutionaries. Also see where the state’s gold was stored. The restored iron barque Polly Woodside, built in 1885, made 16 voyages around Cape Horn before sailing for 20 years in Australasian waters. Come aboard, smell the tar and rope in the forepeak store and listen to her creaking and heaving on her mooring ropes. Take a historic train ride with Puffing Billy and experience the scenery of The Dandenongs from the viewpoint of a bygone age. This beautiful mansion and its gardens (14 acres) from the 19th century is an excellent example of Victorian architecture with is elegant 1930s interior. Melbourne City Map - Places To Visit. 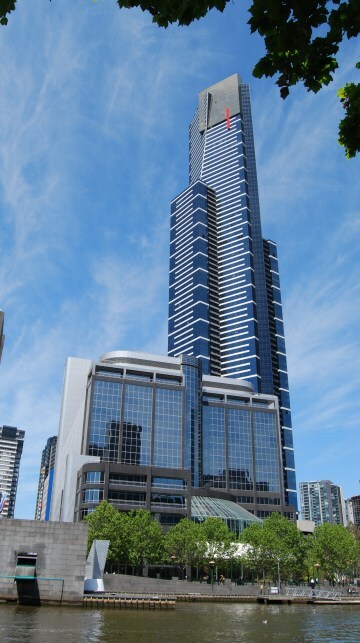 Find and Book Melbourne Australia Hotels Melbourne Hotels.